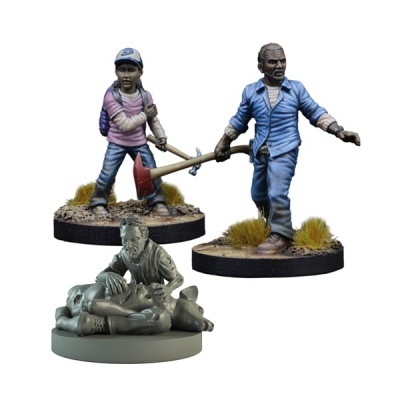 This Collector’s Edition box contains everything two players need to get right into the action, including fully-assembled, highly-detailed plastic miniatures, dice, tokens, quick-start rules and terrain including burnt-out cars and barricades. 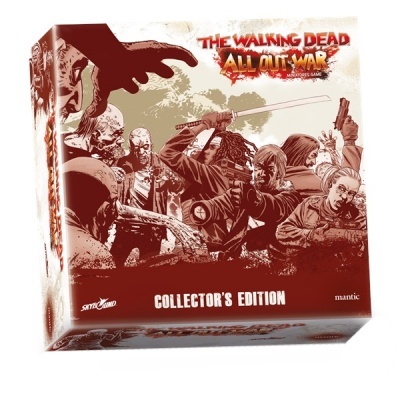 In addition to the All Out War Core Game, this set contains the Prelude to Woodbury solo campaign and card deck, a full set of 3D plastic scenery, a deluxe neoprene gaming mat, a booster pack of Equipment cards, the Lee and Clementine Booster and exclusive Walker Rick Grimes and One-Legged Dale Miniatures! 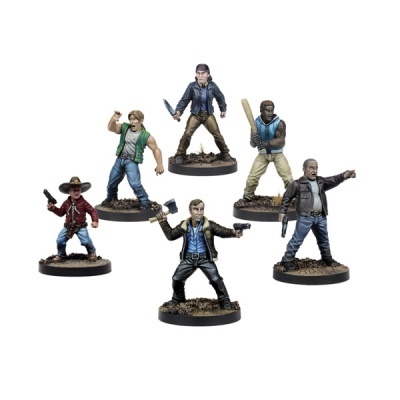 11 Plastic Survivors - Rick Grimes, Carl Grimes, Derek, Patrick, Liam, Sandra, Brain Blake, plus Exclusives Lee, Clementine, One-Legged Dale and Scott Moon! 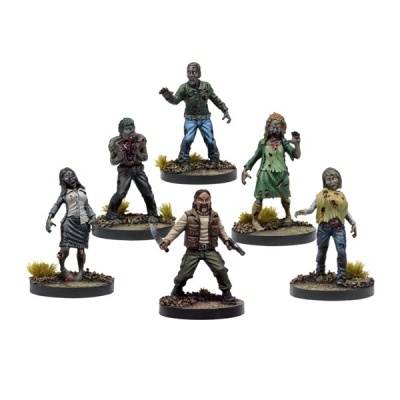 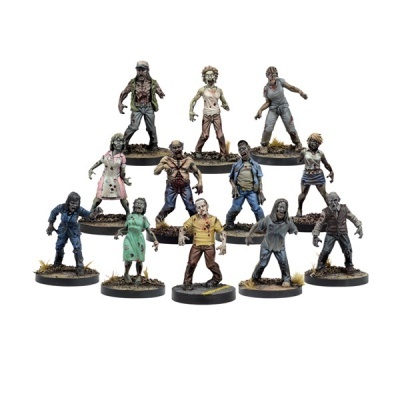 25 Plastic Walkers including Exclusive Walker Rick Grimes! 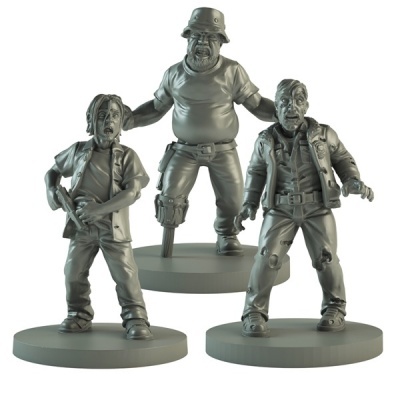 All of the Card Game Counters you need to play, including the Kill Zone Template, Threat Tracker, Double-Sided Ruler, Card Scenery and more!